This sort of regular public opinion poll is useful for advocates so that we can gauge the general perception of animal testing and properly create strategies and campaigns to bring the public with us in our advocacy efforts. This study also reveals that there is a gap between what the public supports and what they know -- though many feel that vivisection is a secretive business, they still generally support it, but if they knew more, they may change their minds. The dynamic between public opinion and animal research is complicated. There have been many studies over the years that have attempted to take a snapshot of the perception of animal research at different times in various countries. Others have focused on assessing why the public seems to value certain kinds of research when they abhor another. Through these studies, trends can be spotted over time, and one such recent review found that the public may support animal research, but only on a case by case basis, depending on what kind of animals are used and to what ends. 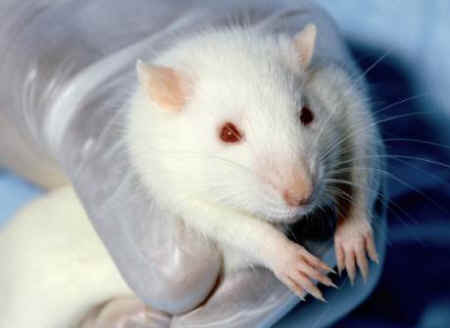 In the U.K., animal research is regulated and monitored by the government. As such, public opinion polls are often commissioned to "take the temperature" of the public's perception of animal research. These polls are conducted in order to shape future strategy and policy. The findings for 2014 reveal that there are a number of interesting dynamics at play when it comes to opinions of animal research in Britain. Firstly, the poll highlights that there is still a majority of public support for animal research, but that it is also conditional. There is "widespread agreement" (76%) that more effort should be made to find alternatives to using animals, and only 37% of people think that the use of animals is acceptable for all types of research. 69% of respondents support research as long as "there is no unnecessary suffering to the animals and there is no alternative." About 23% of the public believes that "the UK Government should ban the use of animals for any form of research," while in contrast, 19% said that "the use of animals in scientific research does not bother them." One of the questions in this survey asked respondents to assign adjectives to the organizations in the U.K. that use animals for research. Given a list of both positive and negative adjectives, the "most commonly held public perception" of these organizations was that they are "secretive," cited by 44% of people. By contrast, only 31% of people think that these organizations carry out work that is essential for human health, and just 22% said they were well-regulated. Also carrying a negative connotation, 13% of people think vivisection organizations are "dishonest about the results of their work." For advocates within the U.K., the findings of this study reveal some strategic implications for anti-vivisection work. Information and education could play an important role in shaping public opinion in the U.K. Many respondents admit to being poorly informed. Others are shown to have incorrect views based on the results, for example, 31% of respondents think that testing on animals for cosmetics is still allowed in the U.K., yet it has been banned for several years. Likewise, there is no overall source that the public turns to for information about animal research, with 36% of people stating that they get their information from universities, 34% saying they find out from people they know who have knowledge of the subject, and 31% relying on animal protection organizations. This sort of regular public opinion poll is useful for advocates so that we can gauge the general perception of animal testing and properly create strategies and campaigns to bring the public with us in our advocacy efforts. This study also reveals that there is a gap between what the public supports and what they know -- though many feel that vivisection is a secretive business, they still generally support it, but if they knew more, they may change their minds. Generally, people seem to lean on the vivisection industry to tell them that animal research is justified. The public seems to support testing on animals when they are told that it's for medical reasons and that there are no alternatives, but if advocates are able to show different possibilities, it could sway public opinion. Go here to read the entire article, Attitudes to anial research in 2014.